When I was young, I love to listen to the story of moon fairy lady Chang’E. It is a beautiful legends of love story that many Chinese would know. The story goes like this: In the distant past, there used to be 10 suns in the sky one year. The scorching heat dried up the lake and people were at death’s door. Just at that time, a hero named Hou Yi heard about this predicament. With his extraordinary power, he then pulled his supernatural bow and shot 9 needless suns down on the peak of Mount Kunlun. Hou Yi was respected, loved and supported by them. A large number of persons of ideals and integrity flocked to Hou Yi to take him as their teacher and seek instructions out of admiration. Among those learners, there was no lack of the treacherous and cunning learner, such as a learner named Peng Meng. Before long, Hou Yi got married to a beautiful and virtuous girl named Chang’E. They loved each other very much and got along very well. One day, Hou Yi went to Mount Kunlun to meet friends when he encountered the Queen of Heaven who gave him an elixir of life. It was said that half of the elixir could make a person live forever and the whole elixir could make a person become an immortal instantly. However, Hou Yi was unwilling to leave his wife, and he gave the elixir of life to Chang’E for safekeeping. 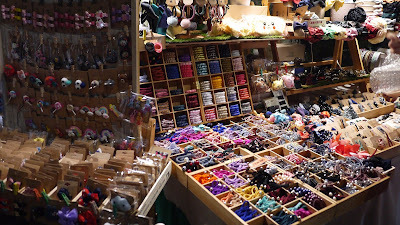 Chang’E put the elixir of life into a case of her dressing table, which was seen by Peng Meng who was very treacherous. Three days later, when Hou Yi went out for hunting with his disciples, the disingenuous Peng Meng pretended to be ill, so he didn’t go with them. Shortly after their leave, Peng Meng broke into Hou Yi’s House with a double-edged sword in his hand. Peng Meng threatened Chang’E to hand over the elixir of life. Chang’E knew that she couldn’t manage to protect the elixir of life. So, at a crisis, Chang’E fetched the elixir of life from the case and swallowed it promptly. Suddenly, Chang’E floated away from the ground, dashed out of the window and flew towards the sky. It was said that Chang’E became an immortal and stayed on the moon which was the nearest to the earth as she was anxious about his husband Hou Yi. At nightfall, Hou Yi went back home and was told what happened during his absence from his maids. Hou Yi became extremely enraged and he immediately went to kill Peng Meng. However, Peng Meng had already escaped. The heart-stricken Hou Yi shouted to the sky and shouted Chang’e, just at that time he surprisingly discovered the moon was extremely bright and clear that night and he caught sight of a swaying figure that was exactly like Chang’e. Hou Yi hastily asked his maids to put an incense table in the back garden and put fresh fruits and moon cakes which were the favorite food of Chang’e on the table, holing a memorable ceremony for Chang’e who lived on the distant moon. When the local people heard that Chang’e flew to the sky and became an immortal on the moon, they all arranged incense tables below the moon for the worship of the goodness Chang’e, praying for happiness and safeness. Since then, worshiping and appreciating the moon during Mid-autumn festival has become popular until now. 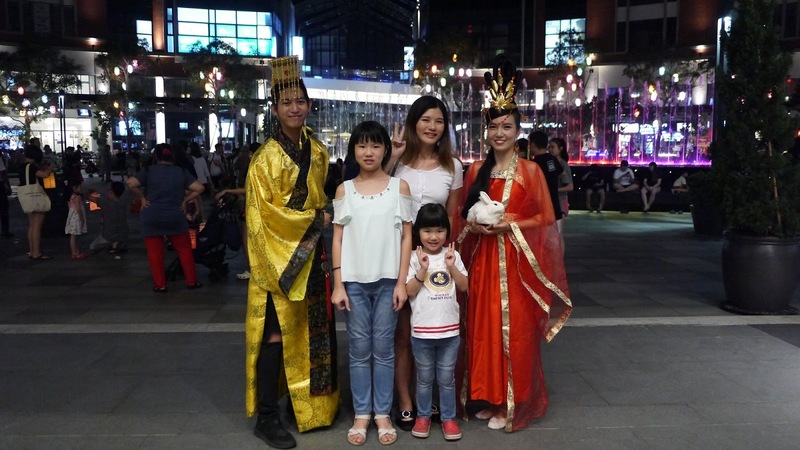 In fact, we celebrate Mid-autumn festival with mooncakes and playing lantern under the roundest and brightest moon every year. 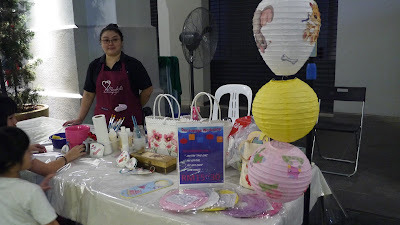 This year, our family had decided to celebrate Mid-autumn festival at Plaza Arkadia, Desa Park City. 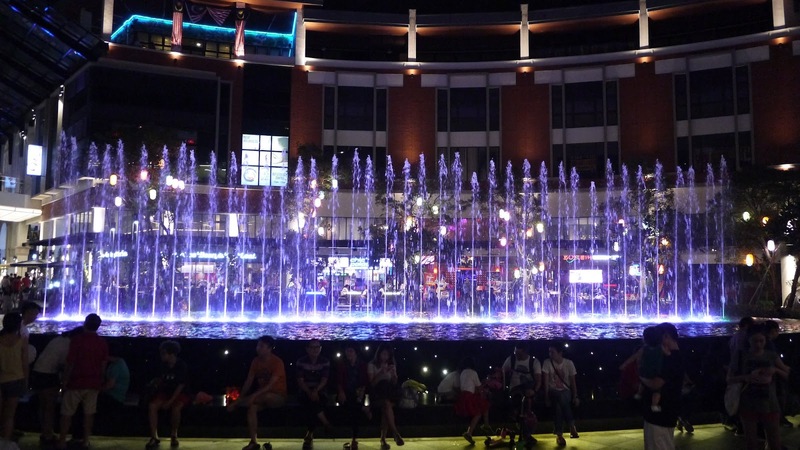 We have been to Plaza Arkadia, Desa Park City numerous times because we love that the place is safe, huge and have an open space that suit our kids. The sufficient basement car parks is bright and easy to access to. 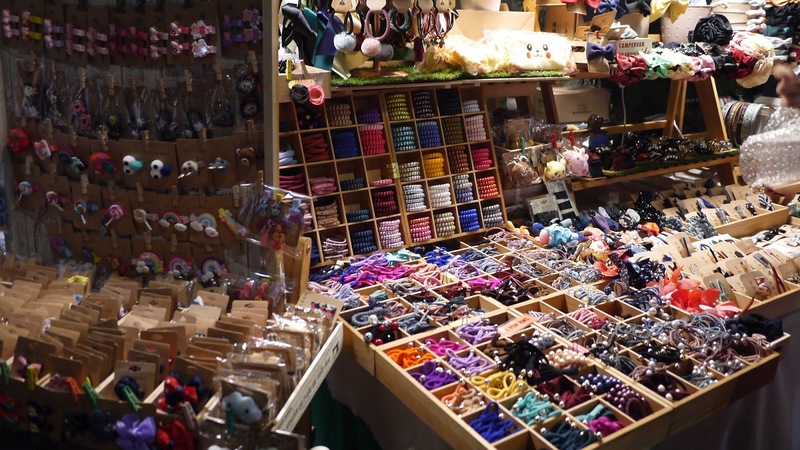 On the night of the weekends on Mid-autumn festival, they had held several activities there. From the weekends bazaar, lantern and key-chain making workshops to meet & greet lady Chang’E. Public can also play the lanterns freely around the compound. 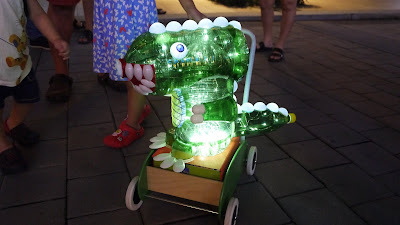 We have seen many creative DIY lanterns there, bravo! My girls especially like the beautiful lady Chang’E who were holding the white rabbit. Out of curiosity, they asked me who is she. 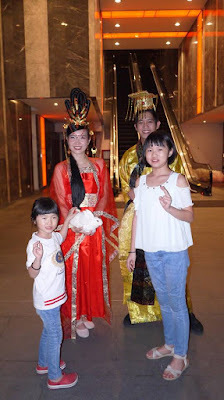 It was the best time for me to introduce my children to the Mid-Autumn Festival by sharing its ancient history. 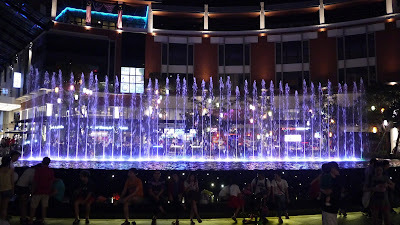 We also sat down at the beautiful and colorful water fountain while appreciating the moon together. It was indeed one of the best family reunion for us. My whole family had a fun time there. 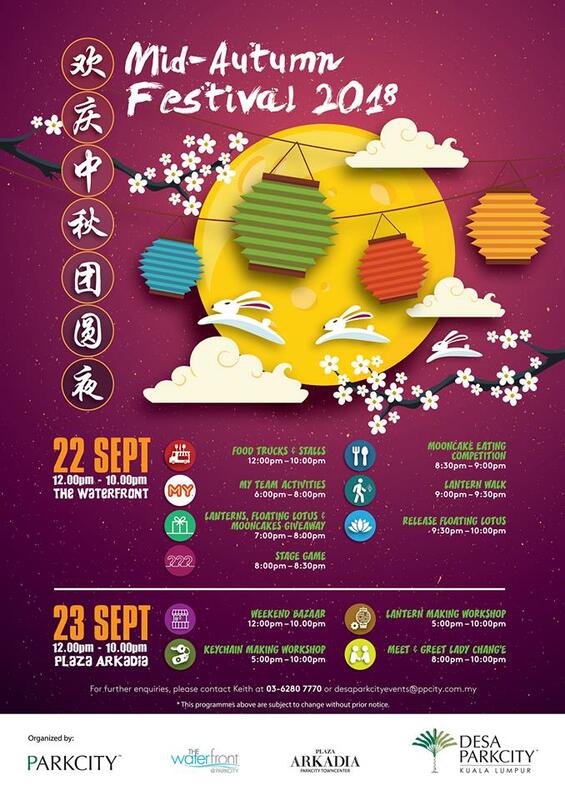 Watch this video for a summary of highlights of our Mid Autumn Festival 2018 @ Plaza Arkadia, Desa Park City. For more information on Plaza Arkadia, Desa Park City, logon to their website | Facebook Page.